At the Presentation Evening held on Thursday 22nd March, the following Colts won trophies for their contributions during the 2017 Season. 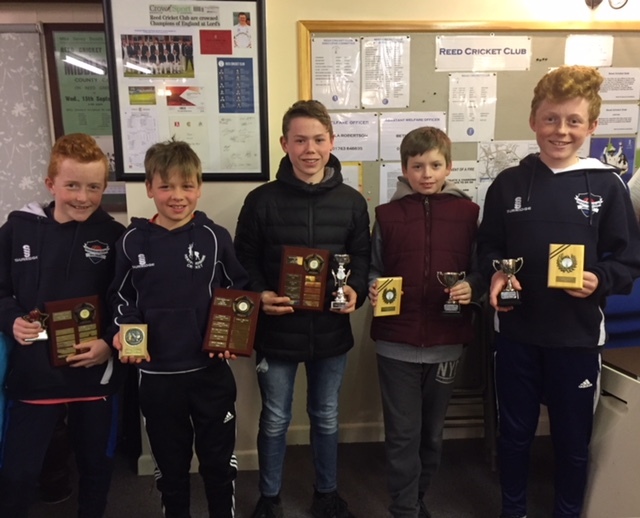 U11 Most Improved Player - ADAM GARDNER U13 Player of the Year - JACK BEBER U11 Player of the Year - CHARLIE WALTERS U13 Clubman - DONI FOUMAKIS U11 Clubman - EDWARD COOK U13 Most Improved Young Player - ROSS GARDNER U11 Most Improved Young Player - DANIEL VINCENT The curious ones amongst you may wish to look at all the previous winners' names. Look at all those youngsters who won awards when they were Colts. Whilst some have grown-up and continue to play for Reed (and in some cases, for neighbouring clubs), we wonder where are the others now? From the Menu along the top of this Homepage, choose "History", then "Seasons Awards" and pick the relevant Year Group. The earliest awards for Colts date back to 1991. At the Presentation Evening held on Friday 24th March, the following Colts won trophies for their contributions during the 2016 Season. 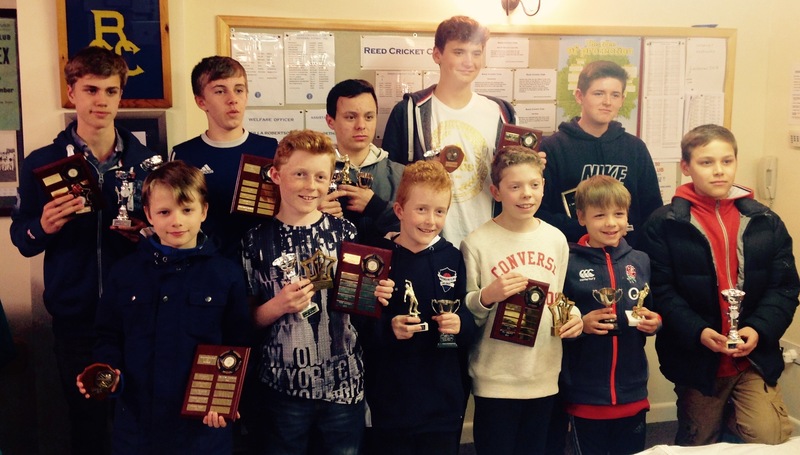 U15 Most Improved Player - JAKE GIFFORD U13 Most Improved Player - JACK BEBER U11 Most Improved Player - JENSEN MARTIN U15 Player of the Year - BENJAMIN MANSFIELD U13 Player of the Year - SAM OSBORNE U11 Player of the Year - ROSS GARDNER U15 Clubman - JACK WILKERSON U13 Clubman - MATTHEW LIEBENBERG U11 Clubman - DANIEL VINCENT U15 Best Improved Young Player - RICHARD STUART U13 Best Improved Young Player - ADAM GARDNER U11 Best Improved Young Player - CHARLIE WALTERS The Under 15s, captained by Ed Kershaw, were also awarded a CYCA Shield for winning their League in 2016.